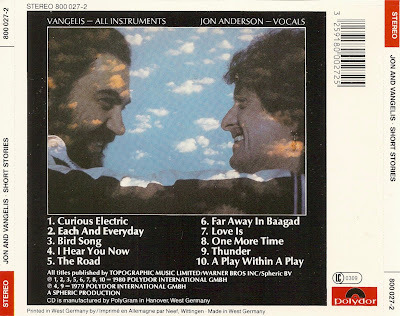 Jon and Vangelis is the collaborative effort between the singer Jon Anderson (better known as lead vocalist of the progressive rock band Yes), and the Greek synthesizer musician Evangelos Papathanassiou (better known as Vangelis). 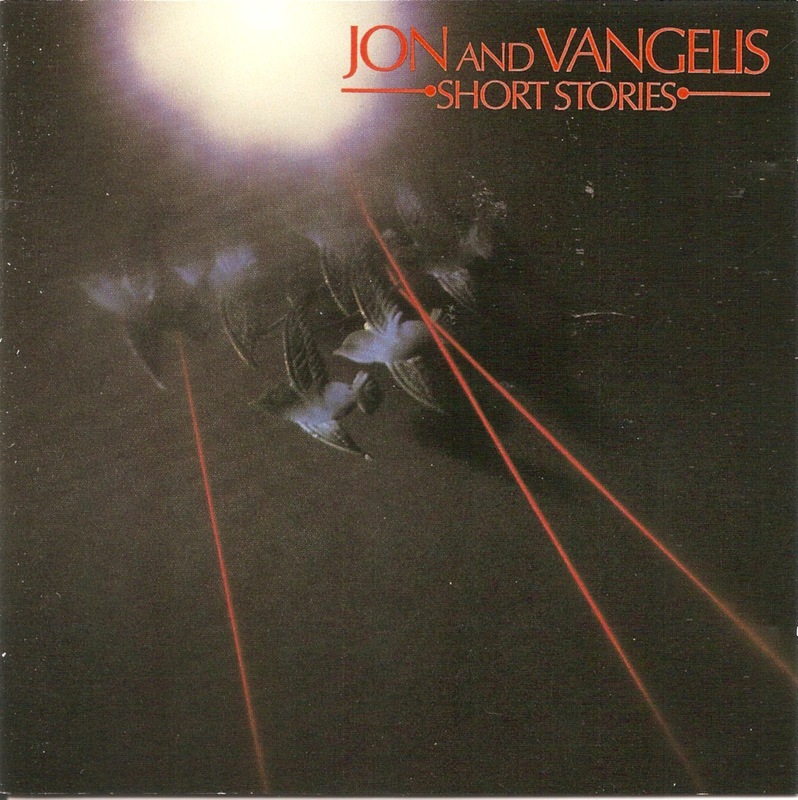 Together they released a number of successful albums in the 1980s. 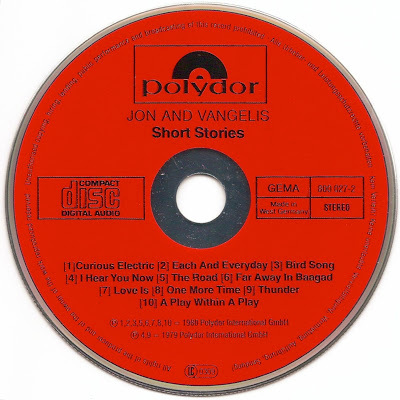 Short Stories is the debut album by Jon and Vangelis, the collaborative effort between Jon Anderson of the prog rock band Yes and electronic music pioneer Evangelos Papathanassiou. Although this was not the first time that the two had worked together; Vangelis had auditioned to be Rick Wakeman's replacement in Yes in 1974, but the role was given to Patrick Moraz.